Meet Joscelyn Tan (2nd from left) and her friends. They are the first batch of students doing a 3-year diploma course in Gerontological Management Studies at Temasek Polytechnic. 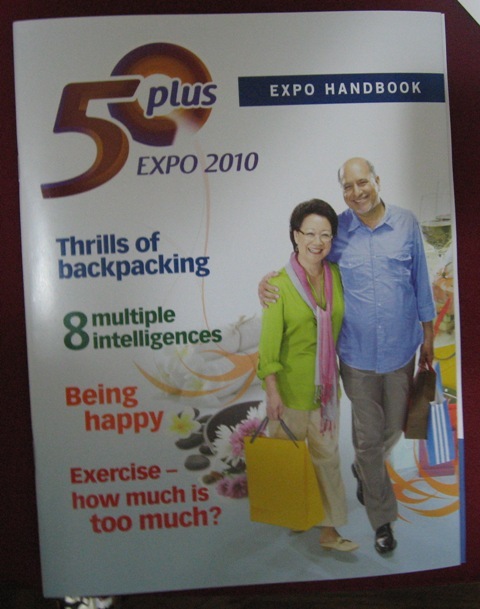 With the rise in the number of older adults in countries across the globe, institutions of higher learning, from the University of Pittsburg in the USA to Monash University in Australia, from Keele University in the UK to National Chung Cheng University in Taiwan, are now seeing a parallel increase in student enrolment for courses on gerontology and other age-related programmes. This is a clear indication that young people are becoming aware of the employment / entrepreneurial opportunities that are opening up in the emerging silver industry. 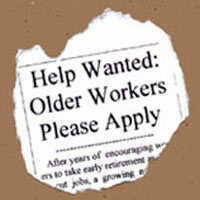 Click here to get an idea of the courses available for those interested in working with older people. Nothing like getting some paper qualifications to lend credibility to your name if your interest lies in this area of work or, as in my case, community service. If your daughter (or son) has just completed her A-levels and has yet to decide on what course to take up at tertiary level, you might want to direct her to the field of gerontology and geriatrics. 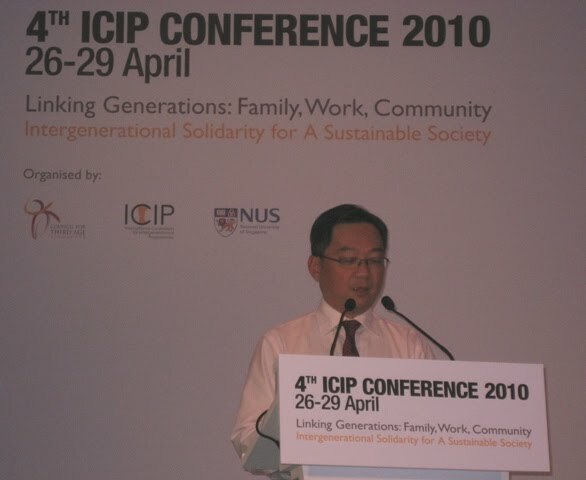 Guest of Honour, Mr Gan Kim Yong, Minister of Manpower, Singapore, addressing delegates at the opening of the conference. In case you are wondering, I am in Singapore attending the 4th ICIP (International Consortium for Intergenerational Programmes) from 26-29 April. The theme for this year is "Linking Generations: Family, Work, Community". I have lots to share but later. For now, I'll just post some pictures taken yesterday on Day 1. Do check out the links if you wish to know more. The Intergenerational Bonding (IGB) Awards Presentation ceremony: the six finalists with Mr Gerald Ee, Chairman, Council for Third Age, Singapore, and Mrs Yu-Foo Yee Shoon, Minister of State, Ministry of Community Development, Youth and Sports, Singapore. The eventual winners were: WITH MY GRANDPA AND GRANDMA INITIATIVE, THE GREAT COOK-OFF, and THE BOND PROJECT. To read more about each of the six finalists, click here, and if you are curious to find out more about the IGB awards and the selection criteria, click here. Tony Blair or my Form 6 buddies? That was the decision I had to make yesterday. Should I go listen to Tony Blair speak on Day 2 of the National Achievers Congress, or meet up with my Form 6 classmates some of whom I haven't seen for 44 years? 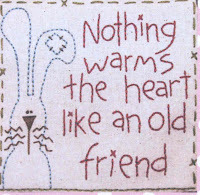 If you have lost touch with friends whom you grew up with, or studied with, it's not too late to re-establish contact. With Google, Facebook, Linked-in and a host of other social networking websites, it is easy enough to search for long-lost buddies. When my college mates and I finished Form 6 back in 1966, we went separate ways. 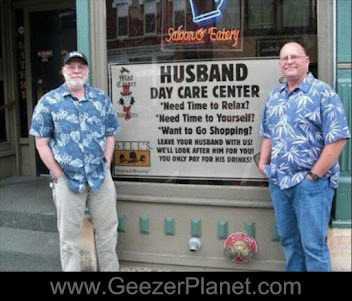 We were too busy furthering our studies, and then pursuing a career. Before we knew it, along came the children and then one financial commitment after another. There was hardly any time for friends or social activities. All too soon the children grew up and left to start their own career and family. 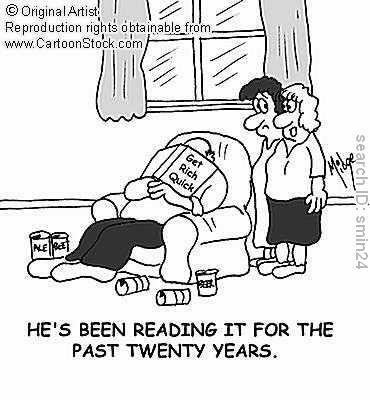 So now as we move into our mid-60s, we are left with an empty nest. With the children on their own, the mortgage paid up, and a bit of time on our hands, we have no excuse not to look up old friends. My two years of Form 6 in English College, Johor Baru, were among the best years of my life. They were my coming-of-age years. I discovered rock n roll and BOYS! I learned to dance, went on dates and had my first taste of puppy love. All very innocent though. Most teenagers then were either too naive or too goody-two-shoes to try anything more than holding hands and exchanging love letters! It's a different world now, so I hear. 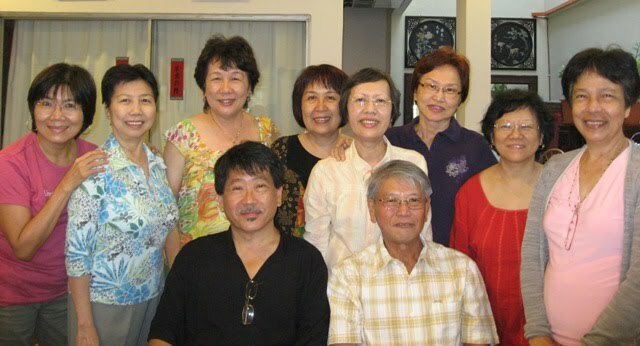 At our small get-together for lunch yesterday, it was truly a trip down memory lane. We cracked up as we reminisced over the silly things we did. We mimicked our teachers, and exchanged notes on who's where now, doing what, and with whom. And we remembered with some sadness those that have passed on. We had such a great time we are already planning for the next get-together in Singapore, and another one later in Port Moresby, Papua New Guinea. One of our buddies started a newspaper there 16 years ago and has promised to organize for us a holiday to remember. 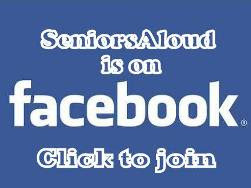 If you are reading this and you are an English College alumnus from 1965-66, do get in touch with me through Seniorsaloud or Facebook. I would love to hear from you. The next time an old friend invites you to a class reunion, GO. It might be the beginning of old friendships rekindled. Remember this quote that we used to write in each other's autograph books before we said goodbye in Standard 6 and Form 5? One is silver, the other is gold." 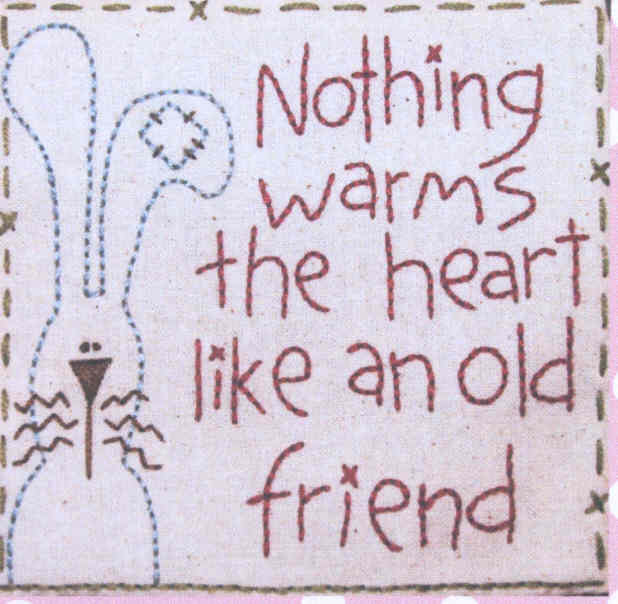 "Old friends are the great blessing of one's later years . . . They have a memory of the same events and have the same mode of thinking." 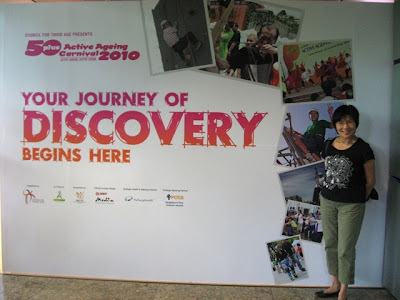 "Enlightened Entrepreneur" - that's a term I picked up on Day 1 of the on-going 18th National Acheivers Congress. Yup, the same one where Tony Blair was scheduled to share with participants his wealth-generating strategies. Well, he was a no-show, at least not yesterday. Not sure if he had cold feet at the last minute. Certain Muslim groups simply do not want him to set foot on Malaysian soil because of his involvement in the Iraq war. (Update: Blair did show up on Day 2). An enlightened entrepreneur is a business owner who uses his money and wealth to do good. 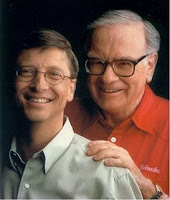 Think Bill Gates, 55, who recently donated US$10b for vaccine research through his Gates Foundation, or Warren Buffet, 80, who has pledged to give away 85% of his fortune, or about US$37.4 billion to improve health and education, especially in poor nations. 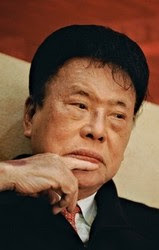 Now China's Yu Pengnian, 88, real estate moghul and hotelier, has joined the ranks of the world's biggest philantropists. He plans to give away his entire fortune of US$470 million in cash and property assets to the Yu Pengnian Foundation, a Hong Kong-registered charity which supports health and education charities and disaster relief. This brings his total donation to US$1.2b. That's the way it should be. Folks who are blessed with great wealth should use it to do good. When there is still so much poverty, hunger, illiteracy and disease in the world, how can the rich sleep in peace if they don't lift a finger to help out? The four Malaysians who made it to the Forbes' list of Asia's Heroes of Philanthropy: (from left) Ananda Krishnan, Ruby Khong, Liew Kee Sin and Francis Yeoh. Now if I had RM10m, I would give 90% of it to charities. 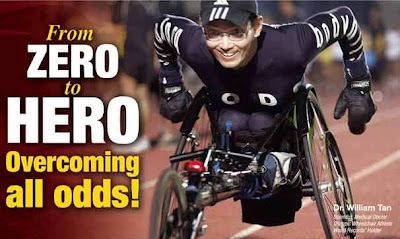 I would keep only RM1m, and still be a millionaire by Malaysian standards! This is a video made by an artist friend whom I worked for very briefly back in the 1970s. 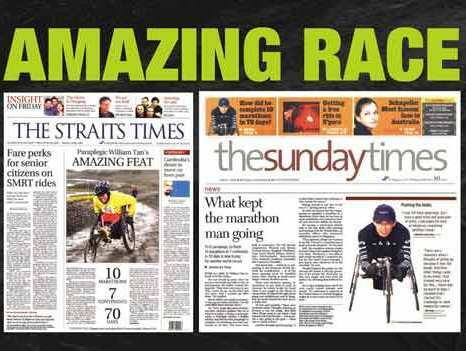 These are scenes Malaysians won't get to see in the local mainstream media. Is there a need for the strong presence of the police and Federal Reserve Unit (FRU? 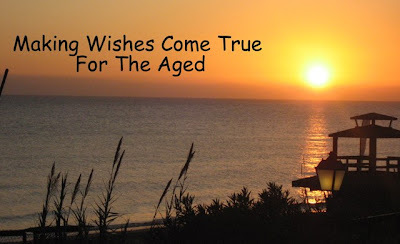 I recently stumbled upon a couple of websites devoted to making wishes come true for the elderly. Wish of a Lifetime grants wishes to underprivileged, low-income older people. 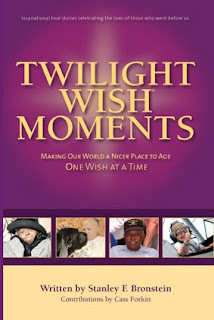 So does Twilight Wish Foundation (TWF). I love what TWF is doing. Since its inception in 2004 TWF has granted 1,241 wishes to seniors in America who are over 68 years old and have an income of less than 200% of poverty level. We can do the same here too - making possible the small wishes of deserving senior citizens who do not have the means to do so. Think of it as personal social responsibility (PSR) as opposed to CSR. 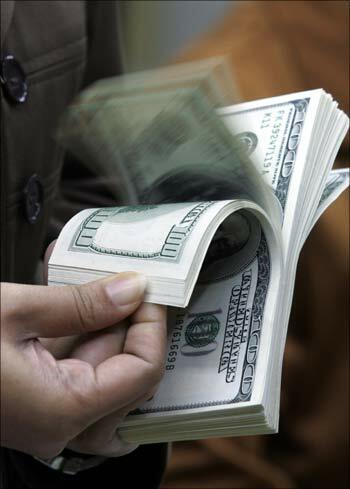 The amounts are small and can be given discreetly. 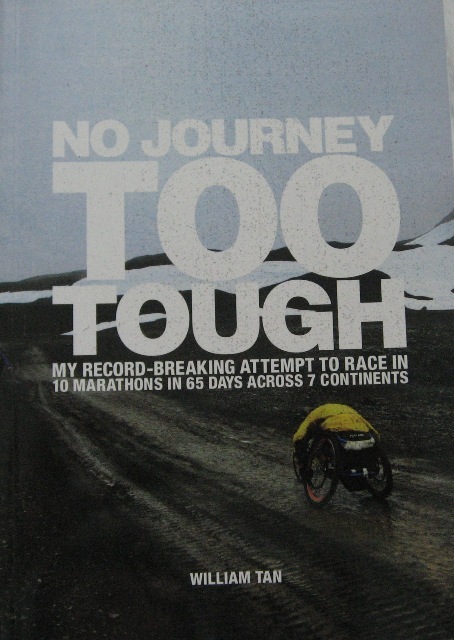 Click here to read chapters from the book. There is a Children's Wish Society here in Malaysia that's doing good work, but no similar organization for senior citizens. Not yet, anyway. Old people do not ask for much. Their wishes are simple - perhaps a water heater, a wheelchair, dentures, a new bed with mattress or a trip to their hometown. Big corporations are not too interested in helping individuals. Their CSR programmes are aimed at welfare homes or community centres. The media usually highlight the plight of needy children. 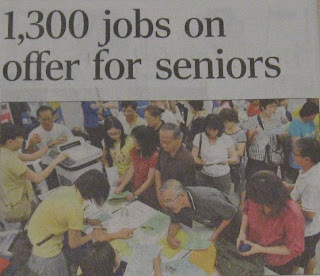 I suppose old people are not newsworthy enough, except during Chinese New Year or Hari Raya when CSR teams make their annual charity visits to distribute goodie bags to the elderly. 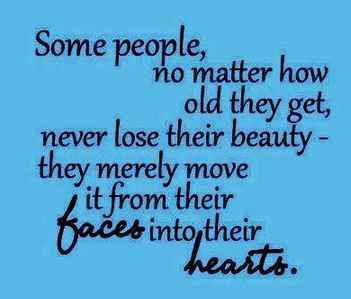 Old people certainly deserve better. 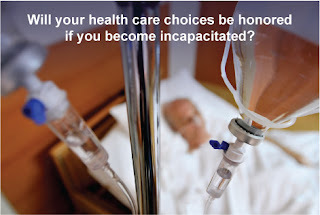 Imagine this: You just had a stroke and are in no position to manage your assets or decide on your personal welfare. Who could do that on your behalf? That would be your spouse, or your adult children. What happens if both parties do not see eye to eye on certain issues? That's where the Mental Capacity Act (MCA) comes in. Under this new Act, you can appoint anyone you trust to act as your donee during the period when you are unable to use your mental faculties. The donee must be at least 21 years old, and not an undischarged bankrupt. You can specify the details and terms in a document called the Lasting Power of Attorney (LPA). Click here for a copy of the LPA form. All completed forms must be submitted to the Office of the Public Guardian (OPG), Ministry of Community Development, Youth and Sports, Singapore. A registration fee of S$50 is equired for Form 1 (standard) and S$200 for Form 2. Those aged 65+ now make up 8.6% of the population. This is expected to reach 13 % in 2020. 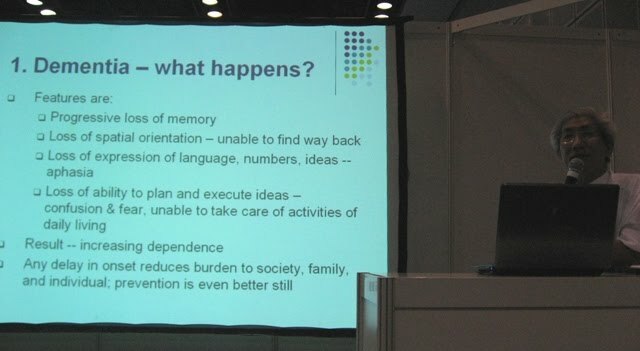 With advancing age comes a higher risk of losing our intellectual capabilities through brain injury or mental illnesses. A case in point: the number of people with dementia in Singapore is estimated to grow from 22,000 five years ago to 53,000 in another decade. Having a legal document like the LPA allows us to plan for our asset management when we are still alive but unable to think or decide for ourselves. This is unlike a will which becomes effective only upon our demise. For more information on the MCA and LPA, visit the Public Guardian website. In the UK, the Mental Capacity Act was passed in 2005. You can read more about it here. 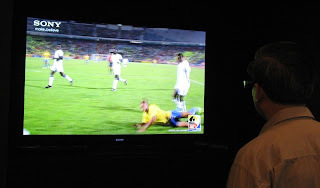 We just had Astro b.yond installed last month so the family could enjoy all the excitement of the 2010 World Cup in high definition (HD). That was before we knew Sony would be launching its 3D TV worldwide in June and offering 25 World Cup matches in 3D. It's near impossible to play catch-up with new technology and it's too expensive to even try. 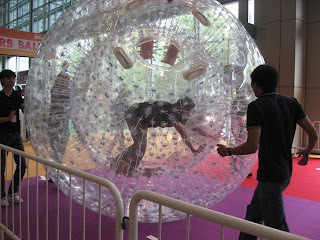 This morning on Day 1 of the PIKOM Fair at KLCC, I finally got a tiny taste of what 3D TV was all about. My verdict? I am impressed. If you can afford the hefty price tag of US$3215 for a 40-inch model, go for it! But I was told the Sony Bravia 3D model will only be available in Malaysia in July. Well, still in time to catch the semi-finals and finals of the World Cup in 3D. A note of caution. According to some media reports, watching 3D TV could be a health hazard for pregnant women, the elderly, children and those suffering from serious medical conditions. I must admit I did feel slightly dizzy watching the 5-minute clip of a FIFA match. But that shouldn't be a problem once you get used to the thrill of having 'live' action right there in your living room. When you have spent a good part of your life working 5 days a week, 8 hours a day, you can't wait to retire. 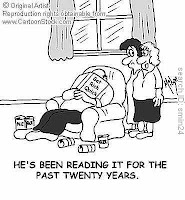 But retirement is not all bliss, as many older folks have discovered. 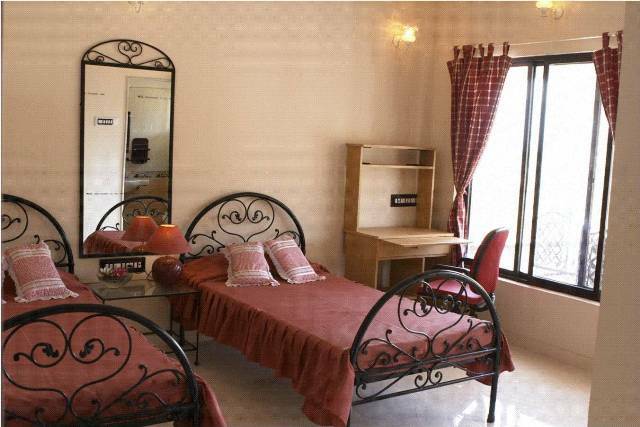 Sure, it's great to be able to laze longer in bed in the morning. The day is yours to do as you please. You don't have to answer to anyone as far as work schedule, deadlines, or sales quotas are concerned. No pressure, no stress. But after a year or two of living a life of leisure, many retirees start to miss their friends at work, their paycheck at the end of the month and their self-worth as a contributing member of the work force. ~ "Whole day nothing to do, nothing to look forward to." ~ "Money going out, no money coming in. How to live?" ~ "Lost touch with most of my friends. Very lonely now." ~ "People lose interest in you when they hear that you are retired." ~ "I miss the challenge of achieving goals at work." 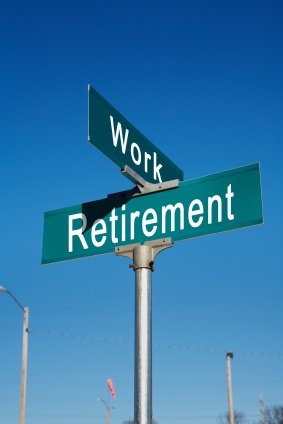 Whatever the reason, an increasing number of retirees are opting for re-employment. Figures are not available, but the numbers are significant enough for the Ministry of Manpower, Singapore, to announce a $50 million boost to the Advantage! scheme. Under this scheme which is an initiative of the Workforce Development Agency, grants are provided to firms that recruit, retain and re-hire older workers. 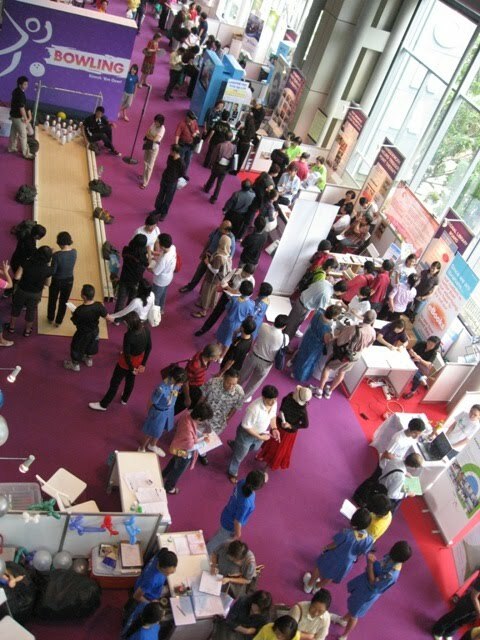 The Chinese Development Assistance Council (CDAC) recently organized their second Jobs for Seniors Fair. 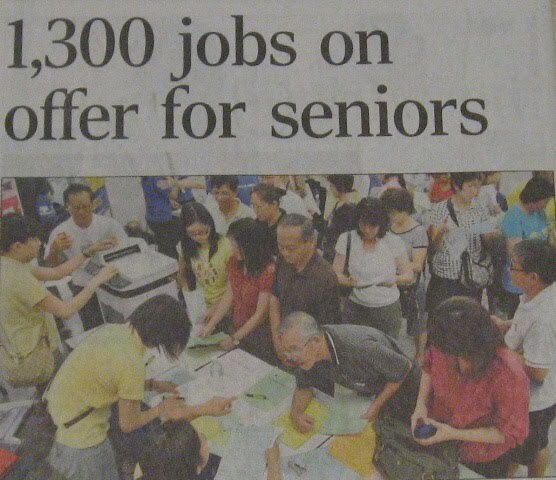 It attracted more than 750 older job seekers for the 1300 jobs offered. 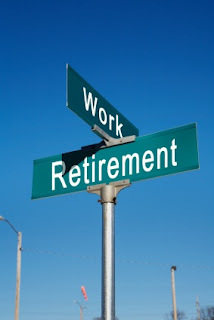 It is ridiculous to be forced to retire in your late fifties, as is the case in Malaysia. 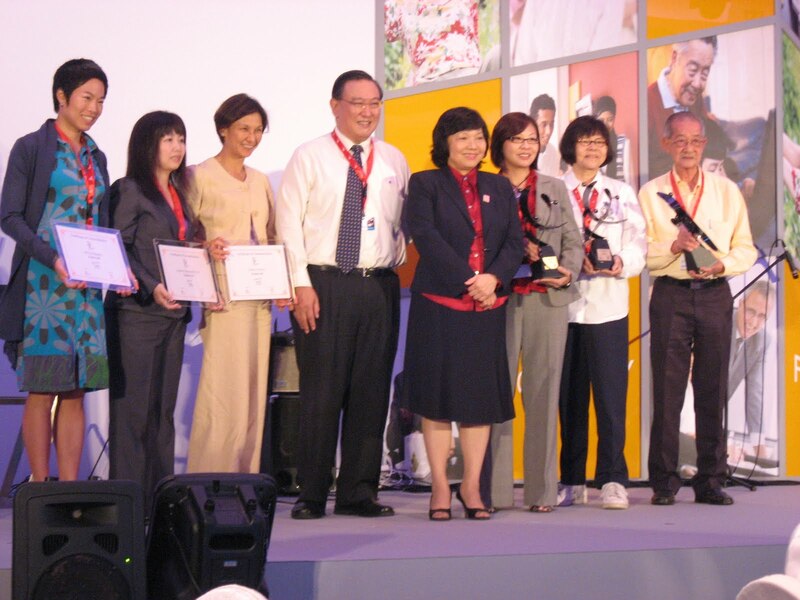 Today's seniors are still capable of contributing actively at the workplace and to society. 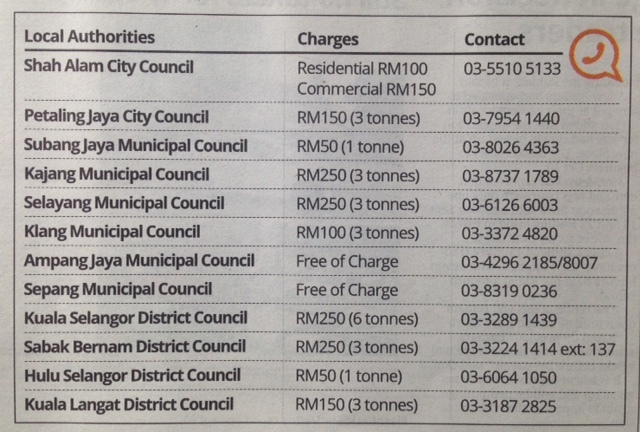 Just read in the Straits Times yesterday that KEPPEL Corporation CEO received a whopping $11.5m in pay for 2009. The figures may pale in comparison with the remuneration of the world's top chief executives, but RM26.36m a year or RM2.2m a month is not a sum to scoff at. Rewards and remuneration are extremely generous for top executives in Singapore who deliver results. So guess who is the world's most highly-paid politician? Barack Obama? Try again. Gordon Brown? Not even close. Click here for the answer. Conventional wisdom says that if you pay peanuts, you'll attract either monkeys, or pea-brained people. This applies to both the corporate and the public sectors. 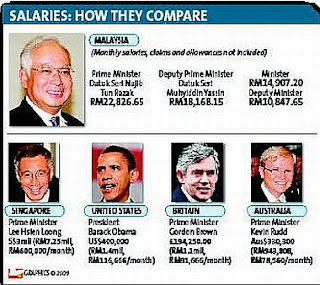 And for the record, here's how our PM's salary compares with his counterparts in other countries. Delegates at the recent 2-day Ageing Asia Investment Forum were given a virtual tour of housing options for retirement living in the US, Australia, New Zealand, Netherlands, India, Philippines, China, Singapore and Malaysia. If the statistics released by Singapore's Housing Development Board are representative of living arrangements preferred in Asia, then housing developers here would do well to take notes. Designing housing for baby boomers can be a challenge, given their diverse needs, incomes and lifestyle expectations. Last year high-end housing developers Frasers Centrepoint tested the market by setting aside 5% of their new projects for intergenerational homes. 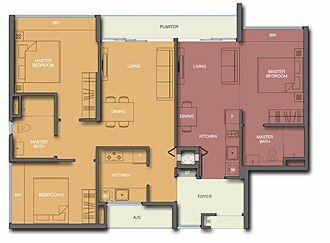 Marketed as dual key apartments and condo-style granny units, all units were immediately snapped up attesting to the demand for such homes. A typical layout of a dual-key apartment. Click here to read more. If your pockets aren't that deep, there are more affordable alternatives such as retirement villages. One good example is Dignity Lifestyle, a retirement township 90 km from Mumbai. 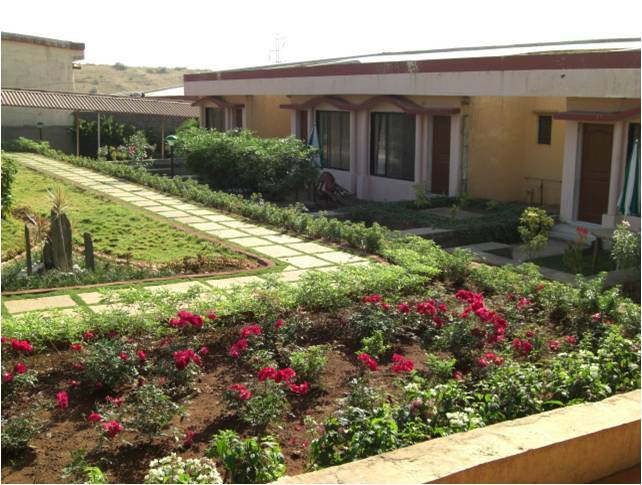 Set amidst rolling hills and green fields, each of the 300 cottages comes with its own 100 sq ft garden. 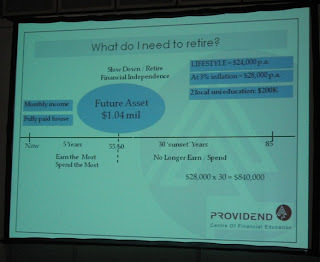 You can check out the links below to view some of the retirement homes presented at the forum. It is comforting to know that when the time comes for assisted living, there are plenty of options to choose from. 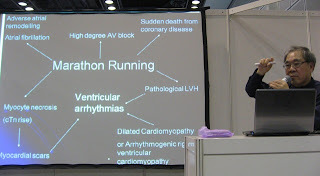 More about Humanitas in another post. 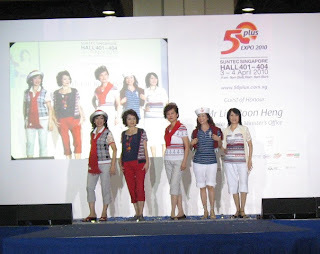 Day 2 at the 50plus Active Ageing Carnival: Singapore's older citizens certainly know how to enjoy their golden years. 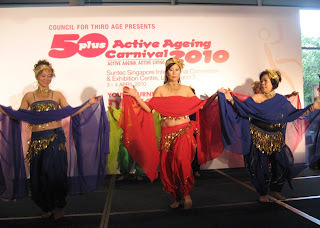 From rock-climbing to belly dancing, these silver-haired seniors were game for almost anything. Who cares if the flab shows or the bones creak a little, we are having fun! That's the message these retirees seemed to be sending out. 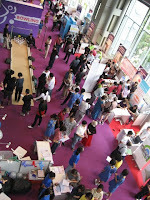 Besides the games and stage performances, there were talks on various topics including health and retirement planning. 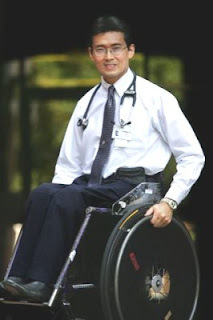 I was particularly awed by Dr William Tan's inspirational talk on "Life Without Limits". More about this amazing neuroscientist and paralympian later. Dr Lim Chin Hock, Senior Cardiologist, spoke on "Healthy Exercise for Active Ageing"
Prof Goh Lee Gan gave a talk on "Dementia Prevention". Mr Ng Choon Jin, CEO of Providend Centre of Financial Education gave an excellent presentation on "What if I don't have enough to retire?" 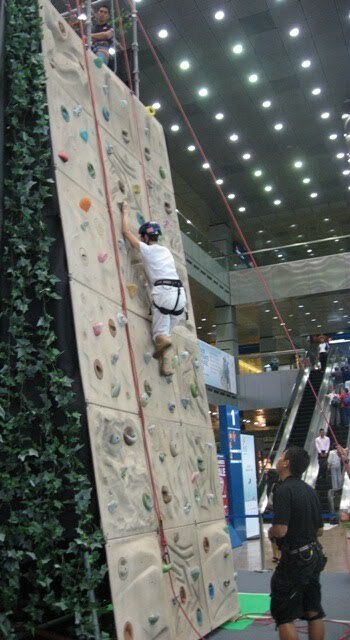 For those who simply love to shop, there were booths promoting health and wellness products, travel packages and active lifestyle grouped into four zones: Energise, Rejuvenate, Celebrate and Inspire. There was something for everyone who turned up at the expo, including generous goodie bags and lucky draws. It's high time for Malaysia to hold its first Seniors' Active Ageing Carnival. The template is already there. 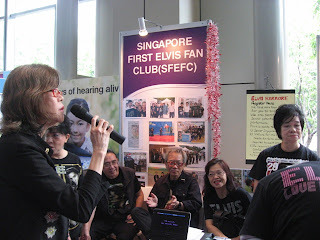 Credit should go to to the organizer, Council for Third Age, for successfully putting together an event of this scale for the second year running. Have you seen this video clip from Al Jazeera? I can't believe the tone of voice and the expression on Ibrahim Ali's face when he referred to the Chinese and Indians as "these people". Even more shocking is that former PM Dr Mahathir has thrown his support behind Ibrahim Ali's Malay rights group Perkasa. I am an anak Malaysia, born and bred here like my parents and grandparents before me. Abandoning my country to settle elsewhere is not for me. I love my country. But if my citizenship rights are in danger of being eroded, I may have no choice. That is why it's crucial that our voice be heard through the ballot. 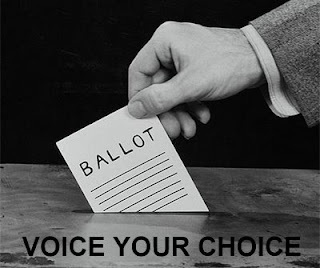 Do your citizen's duty - vote at the next elections. Browse any newspapers these days and you are sure to find advertisements on how to get rich. 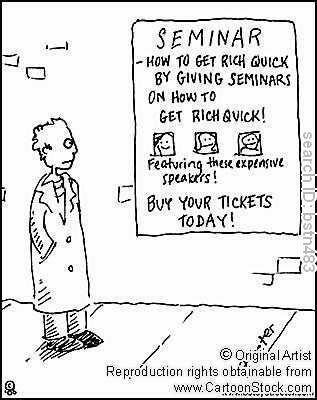 These seminars claim that anyone can amass wealth without too much sweat. They guarantee results or you get your money back. These 'millionaire secrets' don't come cheap. Fees can range from Rm250 for a half-day talk by a local financial expert to Rm10,000++ for a 2-day seminar by an international wealth guru. For those who can't afford to register for these programs, there is no shortage of books promising easy ways to get rich quick. So who wants to be a millionaire? According to a recent online survey, 96% of Malaysia's youth do. And 75% believe they can achieve this by age 35. Good for them. Let's hope they don't get disillusioned too quickly. All I know is that it takes much more than attending wealth-generating seminars and reading self-enrichment books to make your first million ringgit, by whatever age. Some of the recommended strategies probably do work, but let's be honest. 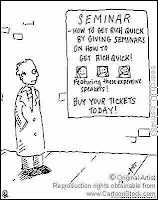 Out of the hundreds or thousands that listen to the same financial guru share his secrets on how to be a money magnet, how many actually succeed? You've got to be driven and consumed by the desire to want to be rich. Wealth creation requires a whole lot of discipline, and also the courage to take risks. Unless we have that in us, it's best to think twice before we sign up for any expensive program on creating wealth, especially one that over promises but under delivers.